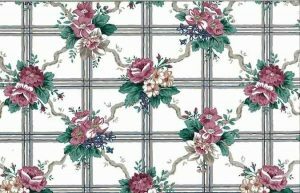 Floral lattice vintage wallpaper featuring a lattice pattern composed of Green ivy vine leaves, Rose colored roses and a Purple cluster flower. 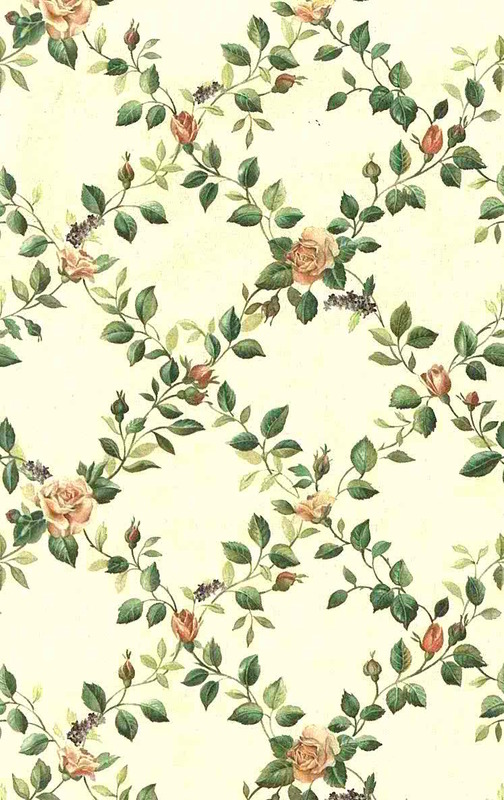 The vining leaves add to the charm of this cottage style pattern. The Beige background has a satin finish texture. 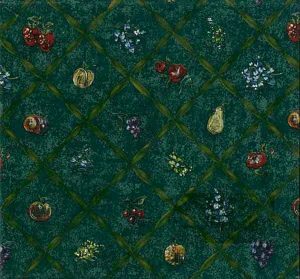 Ideal for a Dining Room, Breakfast Room or Guest Bedroom.